The Florya Atatürk Deniz Köşkü was built for Atatürk in Florya in 1935. Built on columns driven into the seabed and connected to land by a bridge, Atatürk lived here during the summer months and hosted meetings and foreign guests here as well. 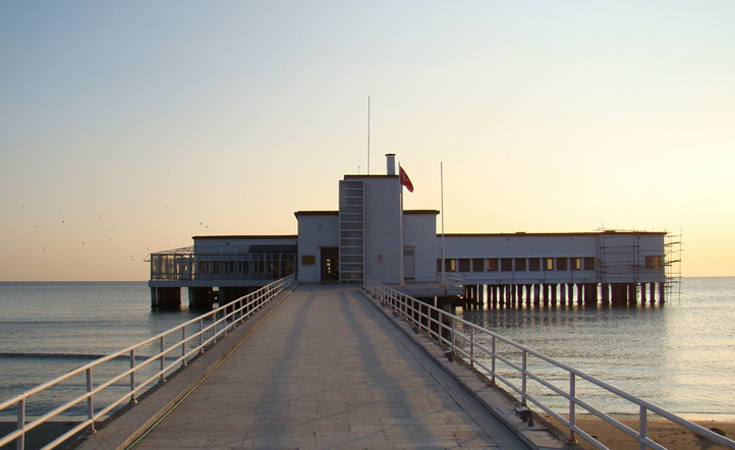 The Florya Atatürk Sea Pavilion (Florya Atatürk Deniz Köşkü) was built for Atatürk in Florya in 1935. Built on columns driven into the seabed and connected to land by a bridge, Atatürk lived here during the summer months, holding meetings and hosting foreign guests. After his death it was used for a time by later presidents, later opened to public after restoration and today exhibits objects from the period when it was in use as a residence for heads of state.